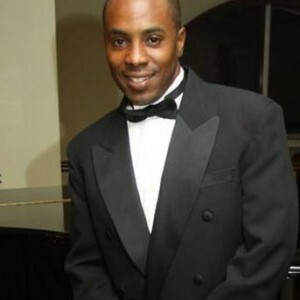 Nadanja W. Bailey, Born to Georgette Bailey and Wendell (Shine) Hayward on September 27, 1976, Nadanja Bailey has definitely made a name for himself in Bermuda’s entertainment circuit. On August 27, 1996 Nadanja put on his first stand-up comedy show at the City Hall Theater as a tribute to his idol, Eddie Murphy. The show was a complete success, with a sell out crowd. In 1998, Nadanja wrote his first play entitled “Listen to Ya Mama”. Due to its tremendous response, it was brought back to the stage the following year. In 2001, Nadanja joined forces with his good friend and fellow entertainer, Jah, to produce the comedic duo, 2 Fools. Nadanja trained at the Neighborhood Playhouse School of Theater while living in New York City. He has also worked with writer/director Patricia Nesbitt starring in her series, “Shis Got Issues: Book One”, “Humph, What’s Her Story”, “Fackbye” and “P.H.A.T. Girls”. May 2005, Nadanja won the Fashion Rock Comedy Competition in Orlando, Florida. March 2006, he was a semi-finalist in the Bay Area Black Comedy Competition where 60 of the best comics in America competed. He was a new face at Jamie Foxx’s Laffapalooza 2006, opened up for the Just for Laughs Comedy Festival in Bermuda 2007, and in June 2009, he opened for Cedric The Entertainer. Nadanja hosted the 2008 and 2009 Bermuda Music Festival on the main stage opening for Beyonce, Alicia Keys, Steve Harvey, Quincy Jones, John legend, James Ingram, Patti Austin, Michael McDonald, Kenny Rogers, Eryka Badu, Wyclef, Chris Tucker and Naturally 7. Since 2004, under the umbrella of his own production company Image Entertainment, he has produced several comedy shows, entertainment events and Mother’s Day Shows. Some of the company’s highlights include: Eddie Griffin (2008), Glenn Leonard’s Temptation Experience (2010), The Spinners featuring G.C Cameron (2011), and The Stylistics (2012).